While we talk a lot about prayer, we don’t talk nearly enough about how to pray. Prayer is critical to the disciple, and we welcome this discipline as part of our conversations with other believers. In my own journey, I don’t remember anyone pulling me aside or inviting me into an experience with the objective, Pray like this. 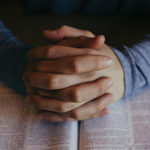 I’m sure many of us have taken it upon ourselves to search the Scriptures for effective prayers, but I’m sure there are many others who want to be more faithful and disciplined in prayer. I scheduled a series about prayer for our small group earlier this year. Instead of a series that walked group members through Jesus’ model prayer (Matt. 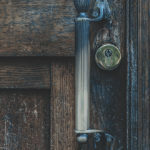 6:9-13), I opted to explore several prayers of the New Testament as a means for discussing the examples from the people that faithfully forged the early church from a broken and lost culture—in this case, exclusively, Paul. Sources. I used two sources, both from D.A. Carson. The first is the small group Bible study Praying with Paul and the second is A Call to Spiritual Reformation. I used the videos and questions from the small group study during our group time. The book was extremely helpful to me in preparing to lead the group, but also for augmenting the discussion with extra material and insights. For 8 weeks, we examined prayers from 1st and 2nd Thessalonians, Colossians, Romans, Ephesians, and Philippians. Here are a few tips for leading such a group. Handout. 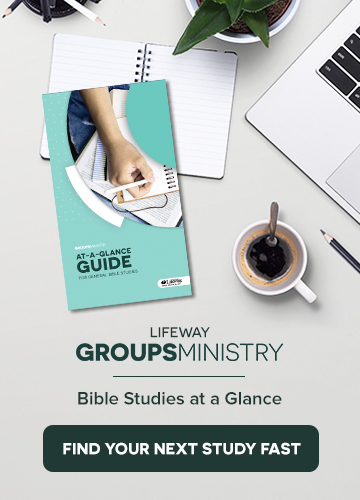 In addition to the Praying with Paul Bible study books, I created a handout with summaries, condensed commentary notes, future group meetings and topics, and review of past weeks. On this handout I also included discussion questions in addition to what is in the Bible study book. I like doing this for an at-a-glance discussion guide. Plus, it’s something I can send electronically ahead of the group for those people that like to use phones or tablets. Weekly Take-Aways. I was sure to emphasize a take-away each week. Studying, discussing, and reading Scripture are their own reward. Beyond that, I like for group members to have a “1 thing” they can add to their routines to grow as disciples. In this context, the take-aways included interceding for those outside our inner circles—even people we don’t know, giving careful thought to ongoing prayer needs in our lives (those things for which we will always petition), obedience to God’s commands is the first order of being within God’s will, and developing our own understanding of what it means to be “unceasing” in our prayer life. Quick Prayer. This isn’t prayer request time nor is it a time for a pastoral prayer of any kind. Rather, it’s an invitation to the Spirit and acknowledgement for the group that we’re entering a sacred space. For this particular series, I was mindful to introduce the weekly take-away for our prayer life. Background. Right after the warm-up but before the text, I like to provide just a little insight into the authorship, historical background, or interesting word choices about the passage. This is just for context and to create an environment ready for God’s word. Scripture Reading. We always read the text out loud. And we always read the text out loud multiple times. And we always read the text out loud from different translations. And we always read the text out loud from multiple translations, from different people. Of course, it’s important to avoid putting people on the spot or making anyone uncomfortable, but reading from the Bible is crucial to the effectiveness of any group. The text is included in the Bible study book, but I also like for group members to read from their own Bibles. Discussion Questions. I choose 6-8 questions from my options from the Praying with Paul Bible study book, the questions at the end of each chapter in The Call to Spiritual Reformation, and questions I developed with my group in mind. The questions are extremely important. A couple of rules I employ are (1) no yes/no questions (2) no questions with easy, one-word answers. Everybody knows this, but it’s still takes intention to avoid them. You may also delineate questions by type: Objective (what does it say), Interpretation (what does it mean), Application (what do I do), Self-Revelation (how do I struggle). Too many objective questions can kill discussion and put people to sleep, while too many self-revelation questions exhausts the heart and leave group members looking for any kind of escape. Wrap-up. This is a summary of the highlights, of course, and a clear distinction of the take-away along with any notable insights from the discussion. I like to draw from the author’s exact words during the wrap-up and include it on the weekly hand-out. Prayer Requests and Closing Prayer. Take the opportunity to model the take-away. For instance, when the take-away was to pray for people we haven’t met, I prayed for a local church staff. These are a few tips for leading a Bible study on prayer. I recommend Praying with Paul as your course. You may also take a look at Pray Like This that uses the Lord’s Prayer as its outline. Other options can be found at smallgroup.com for you to consider. You may want to consider leading your group in this way regularly, like every 12 months. For help in choosing your next study, we have developed the Balanced Discipleship Strategy.